A user of this blog just left a comment on the 9mobile 60GB cheat post saying that "9mobile has stopped the YouTube streaming for 500mb subscription. Now only available for 1GB subscription and above. Worst part is that it's now 500mb capped for YouTube streaming per night. Instead of the previous 2GB per night". It's really a sad news though, i even noticed it because some people were complaining that they weren't given the free YouTube streaming bonus after subscribing for the 500MB data. Be that as it may, here's another alternative free browsing cheat on 9mobile network. It's unlimited and works for both UC Mini handler and Boat Mini browser using Office VPN. 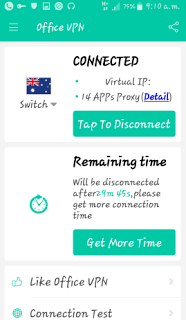 In this post, i will guide you on how to connect UC mini handler with Office VPN and browse download unlimitedly on 9mobile network. Currently, 9mobile seems to be the only network that connects with Office vpn. 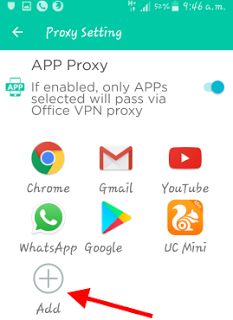 Kindly follow the steps below to setup your UC mini with Office vpn and download unlimitedly. Your 9Mobile line without an active data. UC Mini handler - Download UC mini Browser here. >> Launch the Office VPN application you installed. 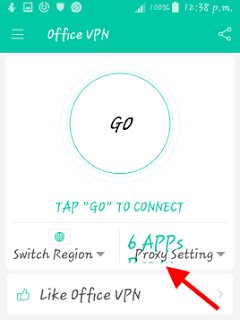 >> Tap on "Proxy Settings" at the right hand side. 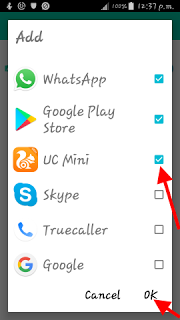 >> Tap on "+ADD" and add the installed UC MINI Browser to the category of apps to be tunnelled by ticking it. >> Next, go back to the main page and tap on "GO" to connect. 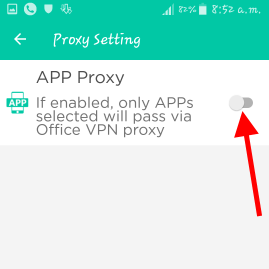 Once connected, minimize the Office VPN. NOTE: The office VPN stops after some minutes when the set time elapsed, in this case, just tap on "Get more time" and continue your browsing session. Also, the "key" at the top of your phone status bar shows the VPN has connected successfully. >> Now, launch your UC Mini Browser. >> Go to the site you want to download from and start your download as it's been done before. >> You can download Boat Mini Browser on Playstore Here. That's all friends. If you face any difficulty while setting this up, just leave a comment below and I'll reply you almost immediately. Please do share this post with friends. The possible problem is from your phone. Boss, do u have any trick for bb10 devices!? or can it also work on bb10 device. Doesn't work for BB devices. Second question: Use Parallel Space for it. No settings for u.c mini? It connects byt disconnets few minutes... and it's not network..my browsing speed hits 1mb/s max. 1mb/s isn't bad Na. Or I no get your point ni? He meant his normal speed without vpn. Nice one, let me give it a trial. Good updates from you, let me download the VPN and try it. I wonder if anybodycould help me download an app from playstore. Whenever i try to download the app from playstore, i get an error that the app cannot be downloaded. I restored my phone to factory settings several, but to no avail. The app name is SKYE XPERIENCE. I'd appreciate it if you send me a link to download the apk file. That's how the network wants it. It has been like that for months now.